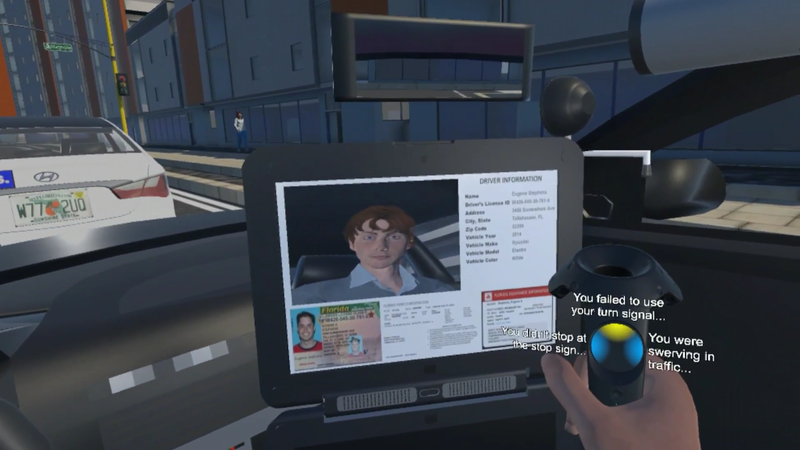 Traffic Stop VR is a virtual reality experience for the HTC Vive that showcases the Virtual Traffic Stop app, a new and safer way for officers and drivers to communicate during a traffic stop. Traffic Stop VR puts you into the officer’s shoes and lets you experience firsthand what it’s like to conduct a routine traffic stop using the app. Created as part of the VR for Social Good Class, University of Florida, Fall 2017.